Yup, so we’re one of those wedding videographers (Cornwall, Devon, Somerset). The transition is a slow one (cameras and lenses are expensive! ), but it’s definitely happening. Goodbye Canon, hello Sony! Last year we were so lucky to WIN this! (Shout out to ‘My Kit Place’, who ran the competition!) And this was the start of the move. We’d toyed with the idea already for a few months beforehand, and this was the shove we needed. It’s an amazing camera. Less than half the weight of our 5Diii, electronic viewfinder, INSANE low light capability, 4k, and awesome slow-motion options. We loved our Canon gear, but they’re about 3 years behind Sony with most of these features. We bought this in early September, to complement the A7Sii. A crop sensor body and not as good in low light, but it’s very capable for stills work, and was super light for gimbal work. It’s even lighter than the A7Sii, and has many of the same features (4k and slow motion) as well. Check out Lisa and Joe’s wedding film at Eastington Park, Somerset. 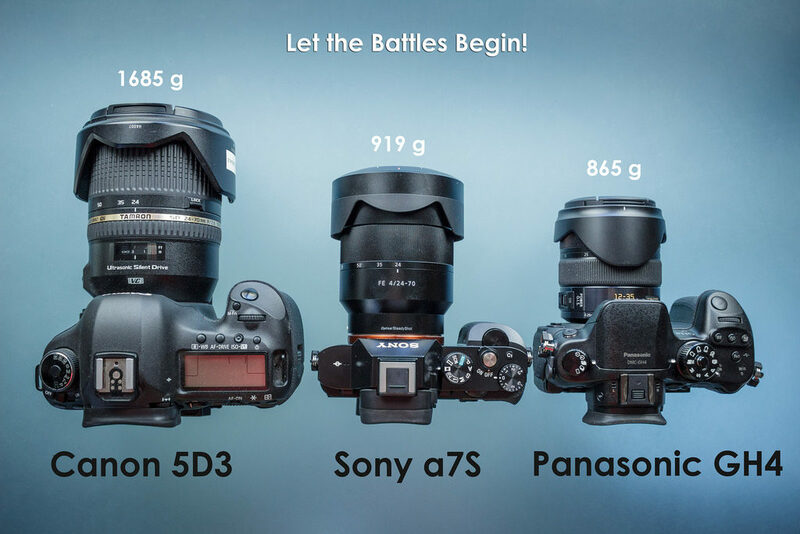 The BIG thing about this camera….it’s tiny! Anyone who knows me well, will know I’m a bit of a hoarder. I don’t sell a lot of kit – the value as backup/additional kit is much greater to me than what they’re actually worth now. So the 5Diii and the 70D will stay, and be used to help kit out 2nd shooters and when we have 2 weddings booked for one date. The 5Diii is still a fantastic stills camera. So it gets a lot of work that way. 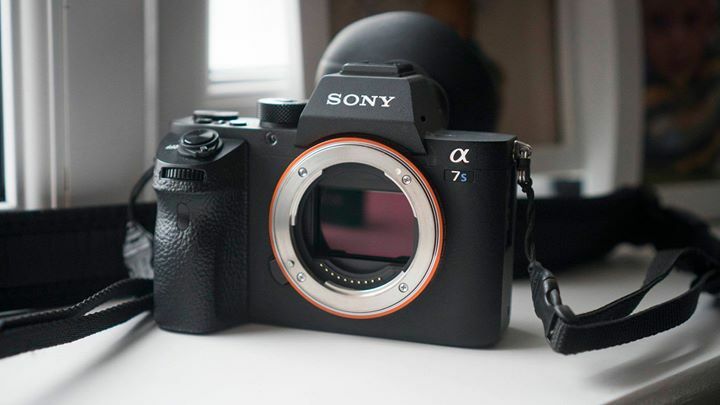 It may have been superseded by some new mirrorless cameras (the Sony A7Riii and A9 spring to mind), but we won’t make this upgrade until stills becomes a bigger part of the business. For the most part, clients don’t care what kit we’re using, as long as they get the film they want! We feel the Sony’s are the future of Wedding video production, they’re feature rich and competitively priced. The A7Sii low light madness has already saved us a few times, and being able to record Full HD slow mo is fantastic (the 5D is limited to 720p). And we just delivered our first fully 4k wedding video last month! None of this would have been possible with the Canon kit.